The Dakine Network II is a thoughtfully designed laptop backpack that allows you to bring your work wherever you roam thanks to its TSA-friendly laptop compartment, document sleeve and roomy main compartment. 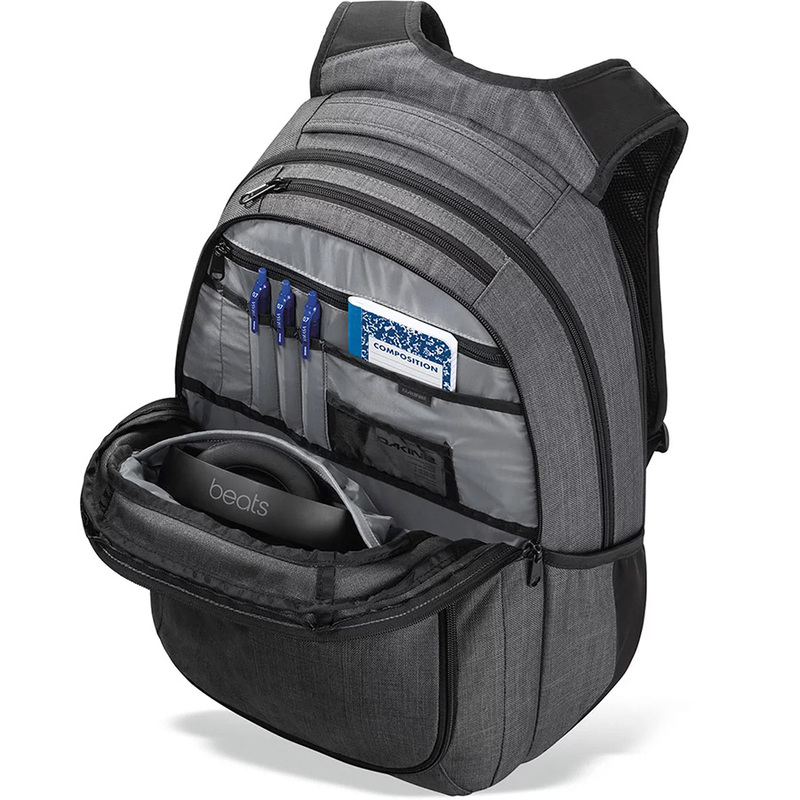 What makes the Network II stand out from other laptop backpacks is its focus on organizing accessories. Inside the backpack you’ll find pockets for headphones, cords and power bricks. In addition to the TSA-friendly laptop compartment there is also an additional fleece-lined tablet sleeve on the front of the backpack for easy access while on the move. Tons of organizer pockets for your tech and personal items. If you needs lots of compartments, then this backpack is for you. Backpack materials feels quality and rugged enough for daily use. Dedicated front tablet pocket is perfect for anyone looking for a tablet backpack. Shoulder straps are on the thin side and can get uncomfortable when fully loaded.